Are you considering moving to Malaga or Andalusia to live and looking to buy a house? In southern Spain you have plenty of options to choose from, from flats for sale right on the seafront, to villas in a peaceful area further inland. 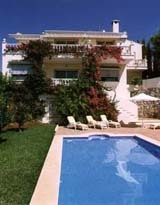 Searching for a place to live in Malaga is simple and there are normally options for all budgets. The houses situated on the coast o nearby tend to have a considerably higher price than the ones inland, if we are searching for something cheaper we are best off looking around the areas closer to the villages, this way, for example, a house in Coin will be much cheaper than a house in Torremolinos or Marbella. In Malaga you can choose depending if you like the tranquillity or the proximity to the urban world. 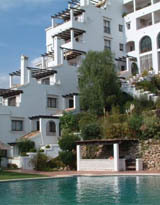 There are areas in Malaga that even being in the urban world, they are sufficiently isolated such as some of the urbanisations along the Costa del Sol, for example (Torrequebrada, Carvajal, Rincon de la Victoria, Nerja), although if we are looking for proximity to the rural and natural life, our best option is to look for a house in one of the villages of the Malaga province. The advantages of living in the city are the proximity to the shops, shopping centres, cinemas and places to enjoy leisure in general. The main advantage of living in a rural area is the tranquillity and the proximity to nature. The Mediterranean climate is the best in Europe, it’s a mild climate that extends all around the Mediterranean area and inside that area, Malaga has a microclimate that make the winters even milder. The Mediterranean diet is recognised all around the world for its quality. Based on olive oil, fish, fruit and veg, the gastronomy in Malaga and in general in the entire Mediterranean will make us live better and longer. Malaga and Andalusia have landscapes that will make us dream, views of valleys and villages that bring to our days memories of a past. Popular festivities, trekking routes, archaeological remains and so much more that you can discover each and every day. You can live a very relaxed lifestyle. Enjoy the good weather, practice nautical sports, golf, trekking...and of course enjoy the beaches and the sun. The people from Malaga and the Andalusians in general are well-known for their great friendliness. The residents tend to love partying and enjoying themselves. The people of Malaga are a result of a history that dates back to the romans, passing though 800 years of Arab dominion...Malaga and Andalusia are culturally separated from the rest of Spain, it’s a special place.